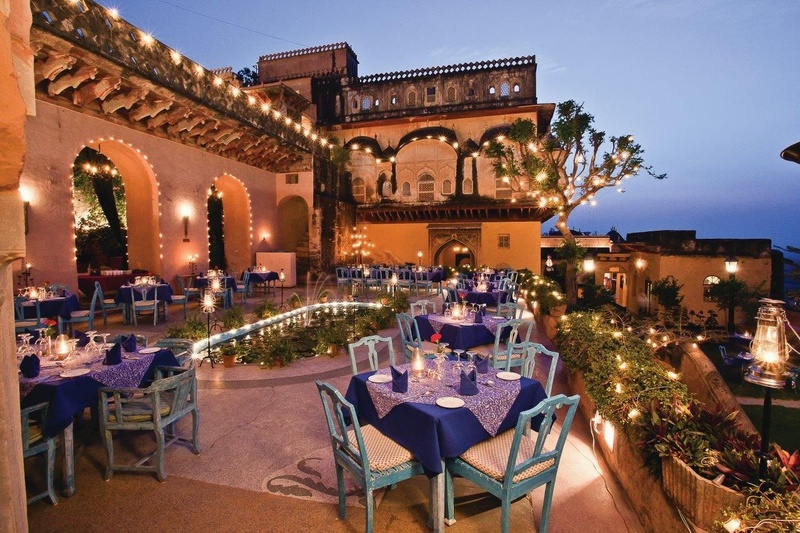 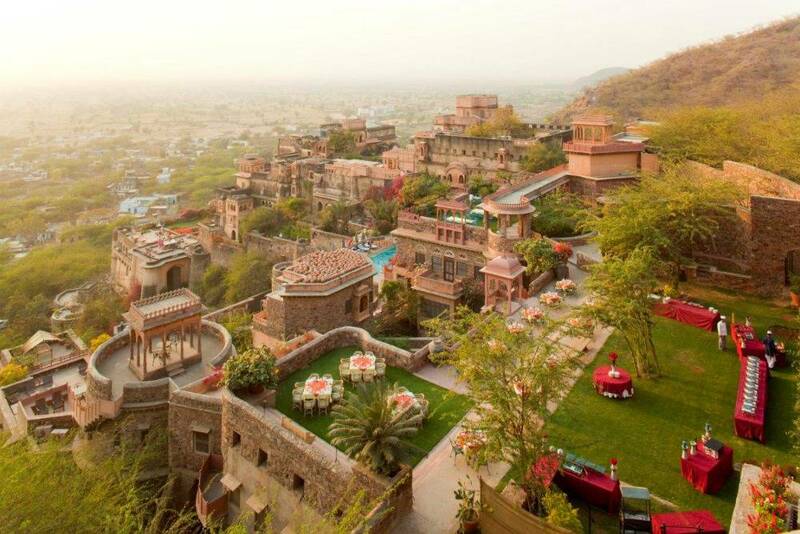 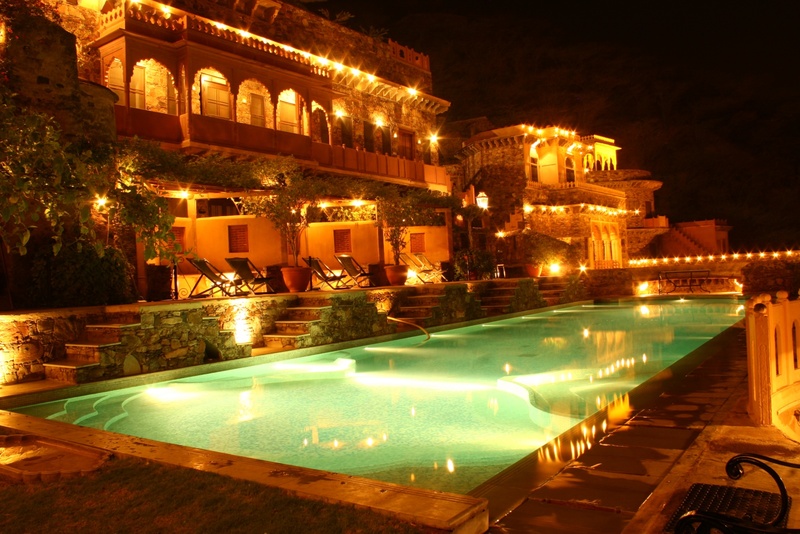 Built in 1464 AD, Neemrana Fort-Palace is located on a hill with brilliant views of the Indian countryside. 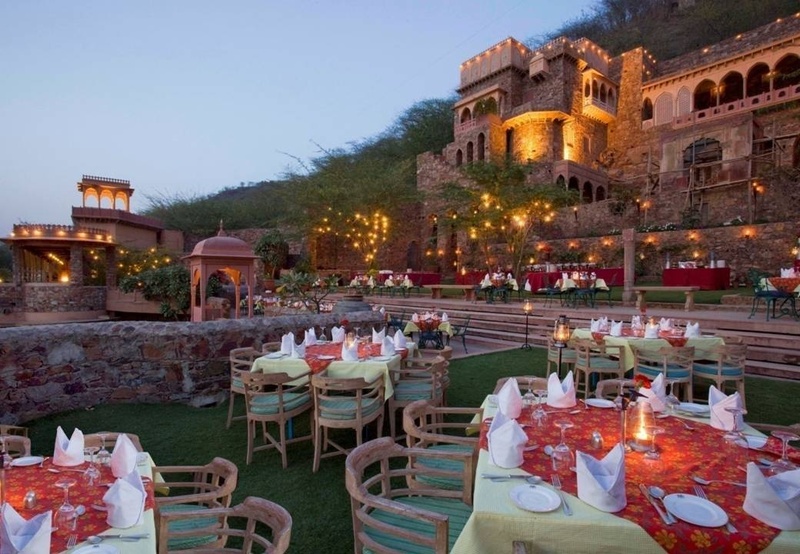 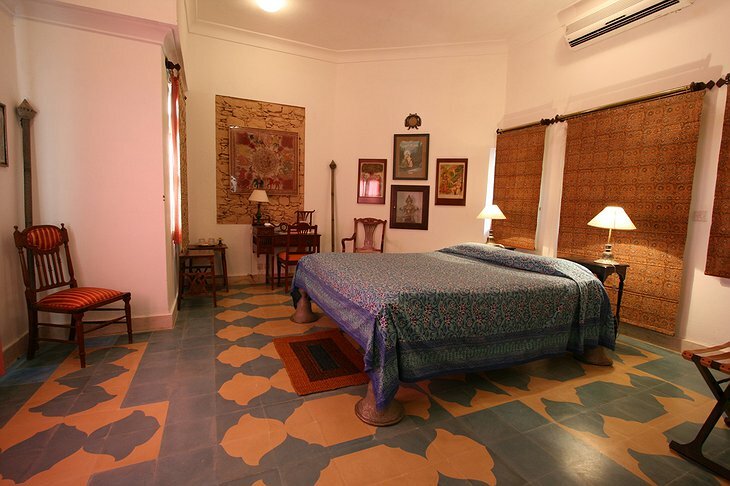 It is a 55-room heritage resort covering six acres of land with multiple levels and palatial wings. Left to ruin for much of the 20th Century, it was restored in the 1990s and great pains were taken to keep its medieval. 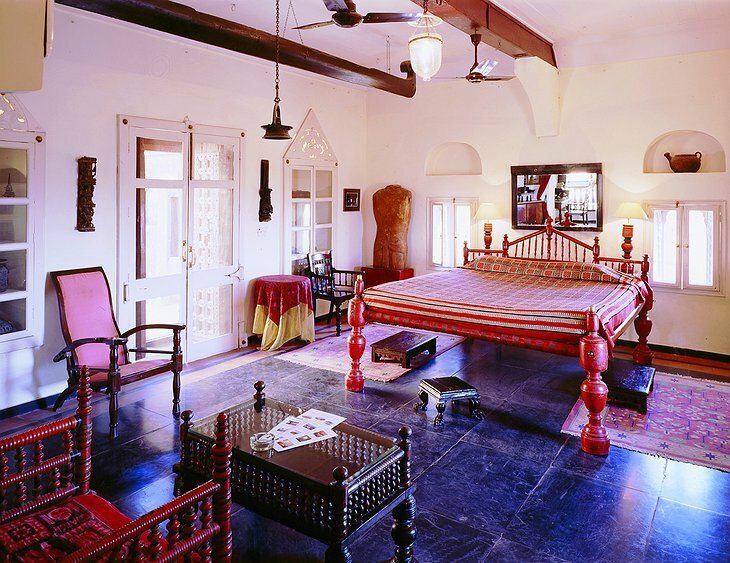 Rooms take inspiration from Indian antiquity or British colonial style. 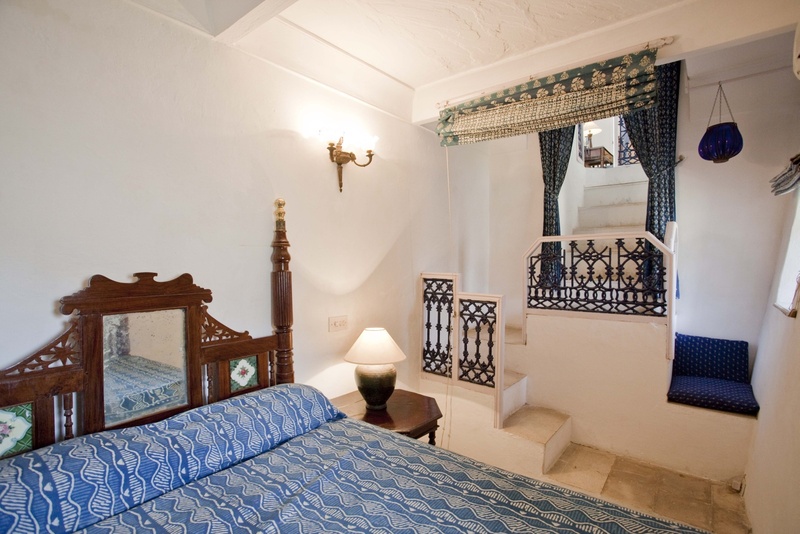 They are bulging with antiques and from your balcony or terrace you get unparalleled views. 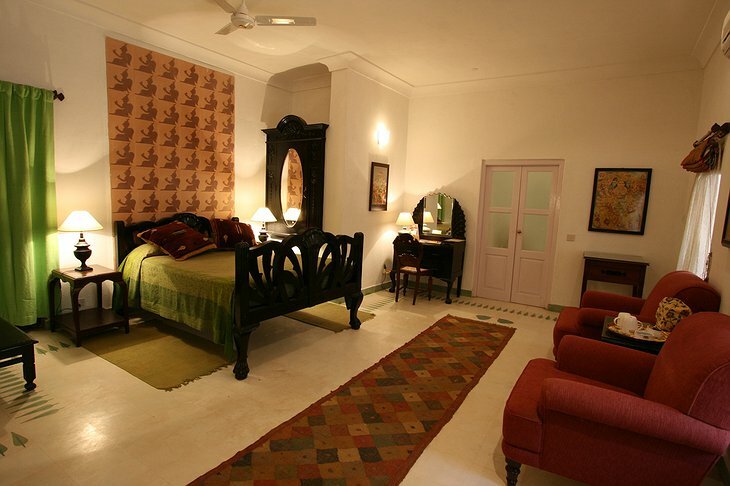 There are no TVs or phones either so you experience a time shift that may send you back to simple days of luxury. 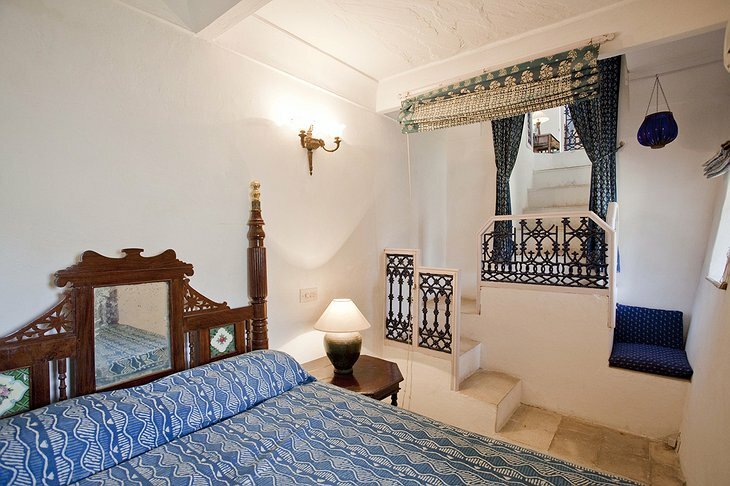 But make sure you remember your way through the mysterious maze to your room as the rooms are built into the original design, not the other way around. 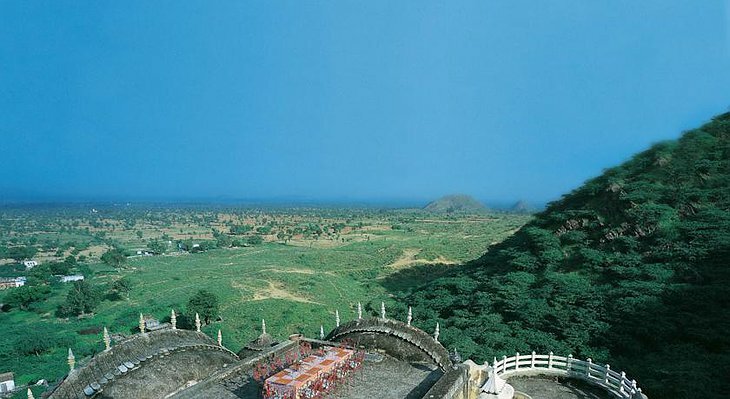 The Rajasthan Desert is below and water can only be accessed at a depth of 60 meters. 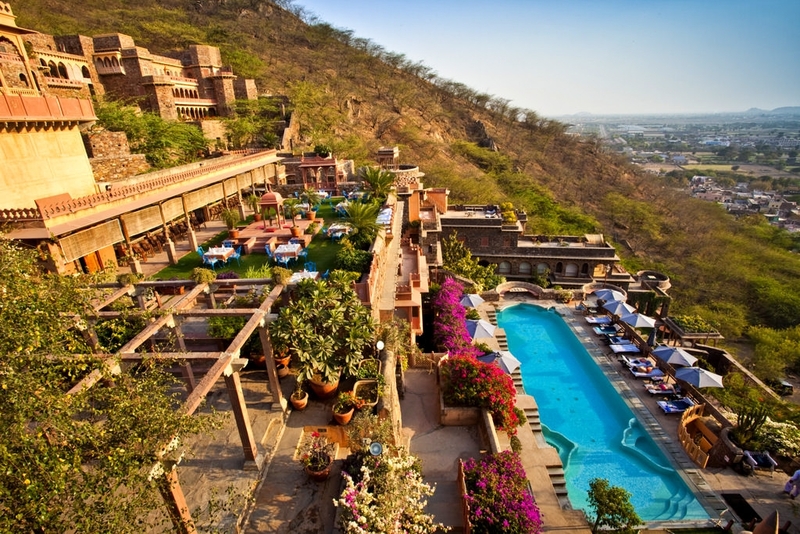 Given the hotel is on a hill, the water supply has to be pumped 240 metres up to supply guests. An incredible feat for an incredible hotel.